The African Union has about 21,000 troops in the country helping the government fight al-Shabab. African Union (AU ) soldiers allegedly killed six people at a wedding in Somalia’s port town of Merca, Human Rights Watch (HRW) has said. The AU has already said it is investigating allegations that its soldiers have been involved in killing civilians in the town in July. But this is the first detailed account of this alleged incident. Witnesses told the US-based campaign group that troops from Uganda allegedly carried out the killings on 31 July. Neither the AU nor the Ugandan government has commented yet on the details of latest allegations. Witnesses say that following a bomb attack on an AU convoy in Merca, which is some 70km (45 miles) south of the capital, Mogadishu, Ugandan forces entered several nearby houses. “At one house, where the Moalim Iidey family was celebrating a wedding, the soldiers separated the men from the women and shot the six adult men – four brothers, their father, and an uncle,” HRW said in a statement. 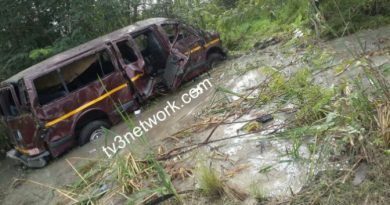 “Four died immediately, one brother hid under a bed after being shot but later died, and the father died during the night after the soldiers allegedly refused to allow the family to take him to the hospital,” it said. One witness told HRW that before the alleged killings, most people in the area had fled, fearing reprisals after AU convoy attack. Those who had stayed behind expected that they would be protected because they were celebrating a wedding, the witness added. HRW says witnesses also allege that 11 civilians were killed by AU troops on 21 July in Merca. None of the survivors of the two alleged incidents interviewed by Human Rights Watch have yet been interviewed by AU investigators, the rights group said. 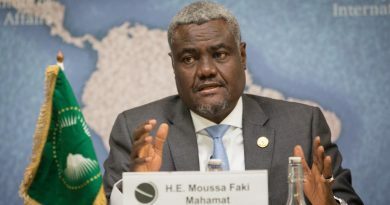 There has been a renewed offensive by the AU and Somali military in recent weeks in Lower Shabelle region, where Merca is located, aimed at reclaiming territory from Islamists militants. 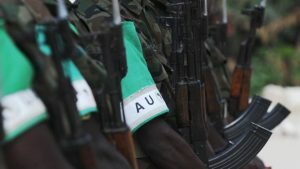 AU troops have been in the Somalia since 2007 helping various UN-backed governments fight the al-Shabab group – and there is now a force of more than 21,000 in the country. Most of its troops come from Uganda and Burundi.